OPENSYS (0040) is consolidate sideway (within RM0.27 & RM0.315 range) since Oct 2015. 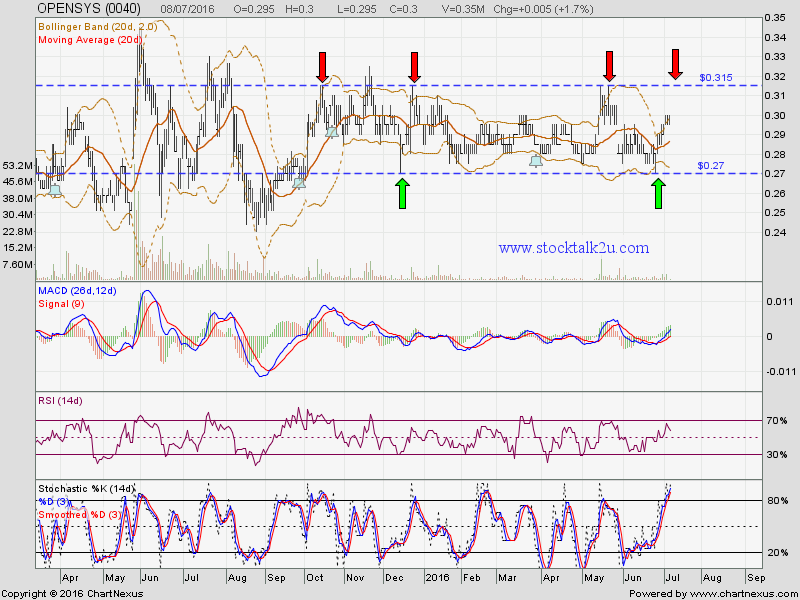 Immediate resistance @ RM0.315 level. 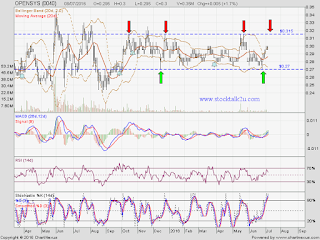 Subsequent resistance @ RM0.325 level. Immediate support @ RM0.27 level. Upcoming Q2 result will be announced on August 2016.